If you have worked with textiles of any kind, you know all about that necessary but evil job of ironing. It isn't a fun job, but somebody has to do it! We have tested and approved a product that takes your everyday ironing up to the next level! 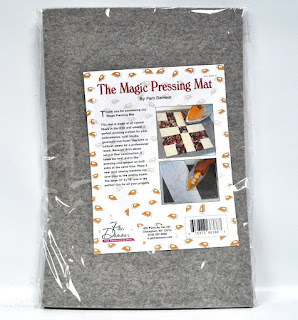 It's the Magic Pressing Mat by Pam Damour. 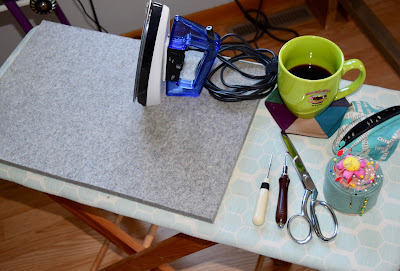 The mat is a compressed felted wool product, about 1/2" thick and 12" x 18". Just place it on top of your ironing board and proceed to iron. In the picture below, I have it on my little travel ironing board. It sits right next to my machine in the sewing room for any small iroining jobs and for keeping some necessities handy. In most cases, I use steam with this but it can work with a dry iron, too. The wool fibers trap and hold onto the heat and steam, multiplying the effect on the item being ironed. I can really tell the difference when I tested it by putting my hand beneath the block right after ironing. It's HOT! These arcs of the Mini Rings by Sew Kind of Wonderful don't always look so wonderful! they left me wondering if those ripples would "quilt out" and look better when finished. Then I repressed them with the Magic Pressing Mat and there is a visible difference in the look. Much closer to the flat blocks that I want to see. I'm getting this small quilt ready to teach for a summer class! And the benefits are just for quilting, either! The concept of pressing on wool isn't new, it's been a useful tool of garment and tailoring skills for a long time. Remember the pressing ham? It's a sort of football shaped form, one side covered in wool, to put beneath curves that need to be shaped to fit a person. I have a simple denim shirt that I love to wear because it's stretchy and comfortable. But I was alway bothered by the fact that the back hem edge always rolled up on itself. I could ignore it pretty well because I didn't have to look at the back while I was wearing it, but I always knew it was there. It never stayed down after ironing it flat. Until the Magic Pressing Mat happened! I steam pressed the heck out of it on the Magic Mat, and voila, it stays flat now after multiple wearings! One thing that almost everyone comments on after using the mat is the fact that there is a bit of a smell. That's the hot wool smell! Not unpleasant at all, so much nicer than the actual sheep barn! 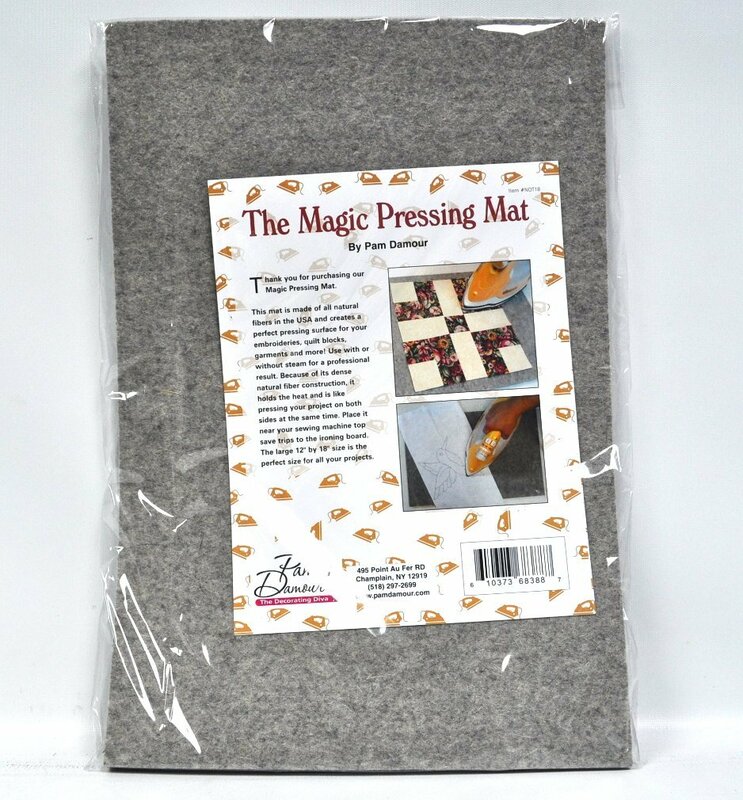 Call us at the store (651-429-1039) to purchase your own Magic Pressing Mat for $55! We have been selling a bunch of them, but we keep re-ordering so we can have them in stock for you! We recently enjoyed the pleasure of hosting Nina McVeigh, a Bernina Educator, for 2 classes in the store. We were so please and gratified to have a full house for her presentations! 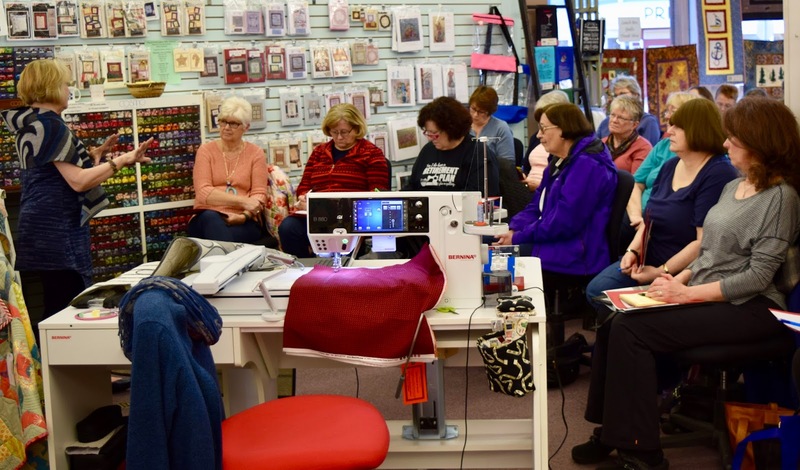 We all enjoyed and learned from her topic, "Quilted Inspiration". 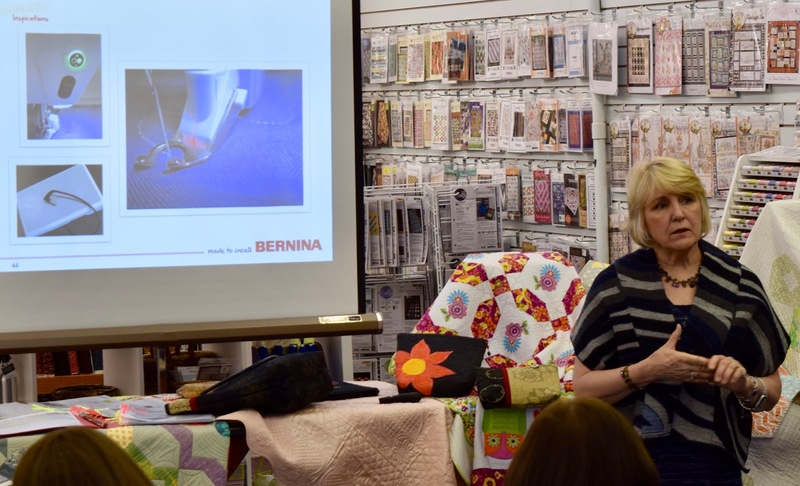 Nina travels the country for Bernina as an sewing expert and teacher. 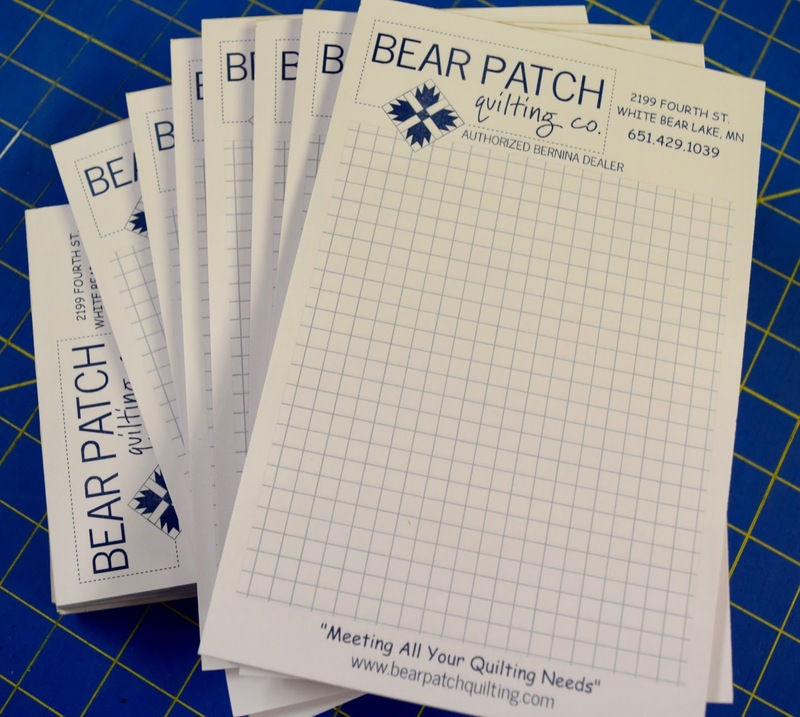 She shared her own experience of a trip to the Bernina headquarters in Switzerland, and the inspired quilts that came to be. It was eye-opening to see the pictures of places and things on that trip which she turned into quilt designs. 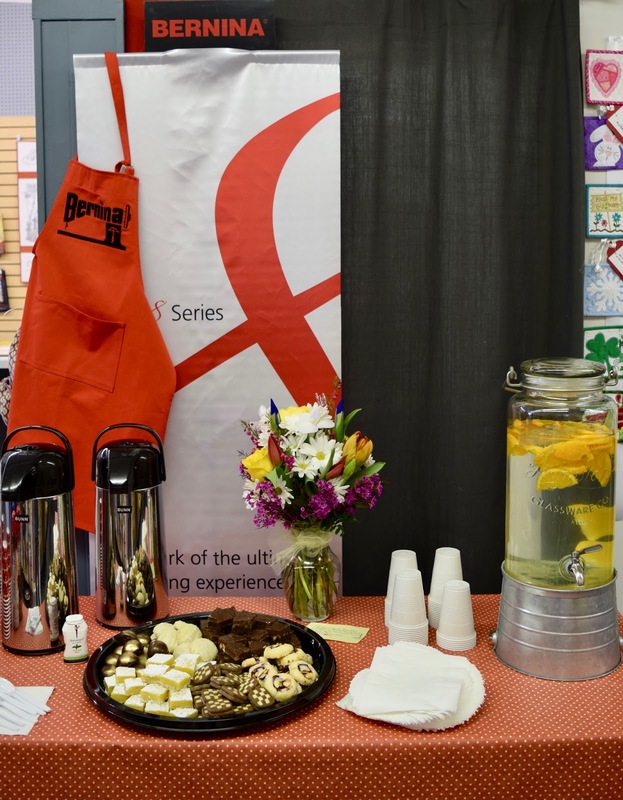 Along the journey, she highlighted many special features and functions of the Bernina machines that helped make those quilts a reality. 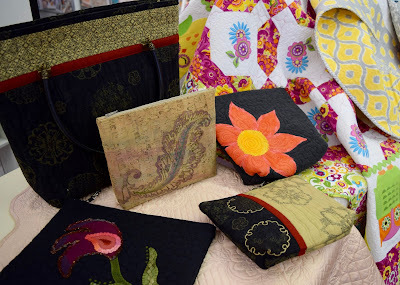 She demonstrated several products that helped create the quilts and projects she displayed. A very talented woman! What a great group of customers! All enjoying Nina's story! And, of course, there were refreshments and treats for everyone! The event wouldn't be complete without that! Thank you, Nina, and we hope to see you again in the shop! 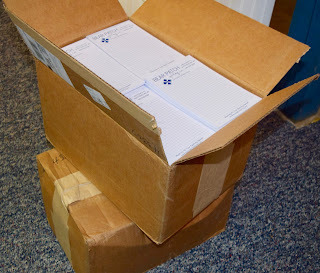 We are ready for another 20th Anniversary gift to you! Seems like we just finished the last one, time really does fly when you're having fun! We have a fun notepad for you, not just plain old paper. This one is graphed and ready for your next creative masterpiece design! Last week we enjoyed a fun seminar by Nina, a Bernina educator. She showed examples of quilt designs she has made derived from photos. This little notepad would be so helpful with that! 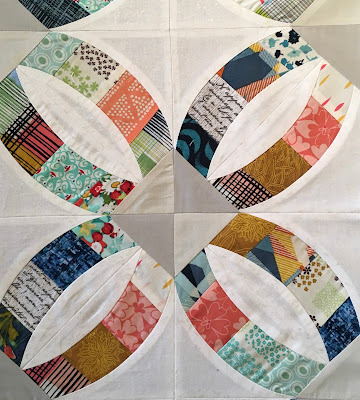 Sketch out a block, or a whole quilt! Often, we work with customers to change the size of a quilt to something larger or smaller than the original pattern. I've wished I had some graph paper to help them visualize what it will be like, and now I have it! Keep your pad handy when shopping or dreaming! We have plenty of these to help you on the way to creative success! So come to the store this Thursday, April 20, to celebrate our 20 years of business, and receive your design pad. No purchase necessary! We are open from 9-5! If you are familiar with Lunch Box Quilts, you might already have used one of their designs for machine embroidery and applique. If not, we have a special treat for you! Lunch Box Quilts has loaned us large collection of their samples, and we have them on display during April. We have already been re-ordering some of the design CD's, they are just that popular! Some of our talented Bernina employees have already used these designs for samples displayed in the Sew Center. But this trunk show is wonderful because there are a lot of designs that we just don't have time to complete. And seeing these stitched out and sewn into quilts and wallhangings gives such a better idea of the quality of the design composition. Many of the pictures in our slide show are small sections of a much larger quilt, illustrating how you can pick and choose which portions of a design you want to use and tailor it to the size you need. We hope you enjoy this little glimpse of the Lunch Box Quilts. 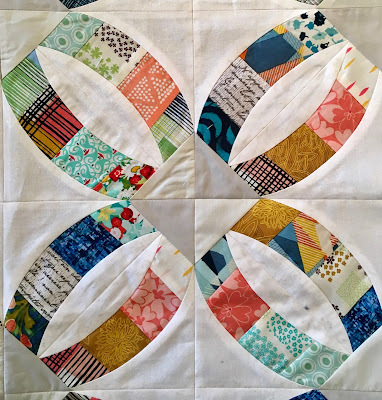 If you want to see more complete pictures of the designs, plus many more that we don't have in this slide show, please visit Lunch Box Quilts website. We can order any of the designs that you might want to request. These embroidery design files are in all of the usual formats for many brands of machines. Don't have an embroidery machine? We can help you with that! We are ready to demonstrate the functions of the Bernina embroidery machines whenever you visit the store. Plus we have quite a few classes and the supplies that will help you on the way to success with machine embroidery.